All photos in the stories are original images and are the property of septembredebut.com. Please ask permission to copy or publish and acknowledge the source. The sky is clear, there is a fresh breeze whipping at the flags and the reception desk is a flurry of passports and boarding documents. AAA Superior Cabin 422 on the bridge deck, Pisco Sours, a welcome toast in the Darwin Lounge (5th deck), meet and greet the captain and the expedition crew and then we are sailing into Estrecho de Magellenes! Everyone wants to be outside on the rails until the very last moment of the sunset before dinner is served in the Patagonia Dining Room (1st deck). 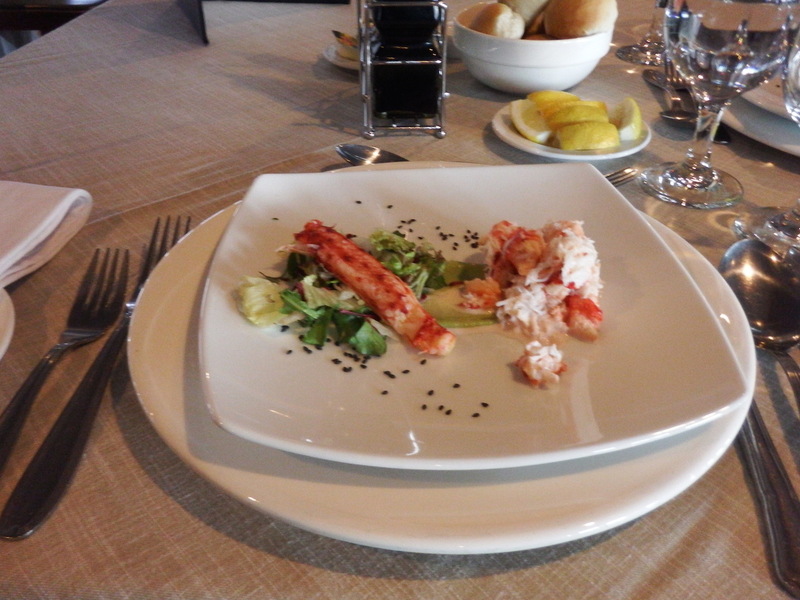 We embrace the shipboard rhythm of briefings, drinks and fine food – and anticipation of what tomorrow will bring. The Sky Lounge (4th deck) offers early coffee and fresh, gourmet pastries for those who are keen to photograph the sunrise or work out in the gym. Today’s disembarkations are not testing physically but it is the first time wearing all the gear and following procedure for leaving the ship and returning in the zodiacs. 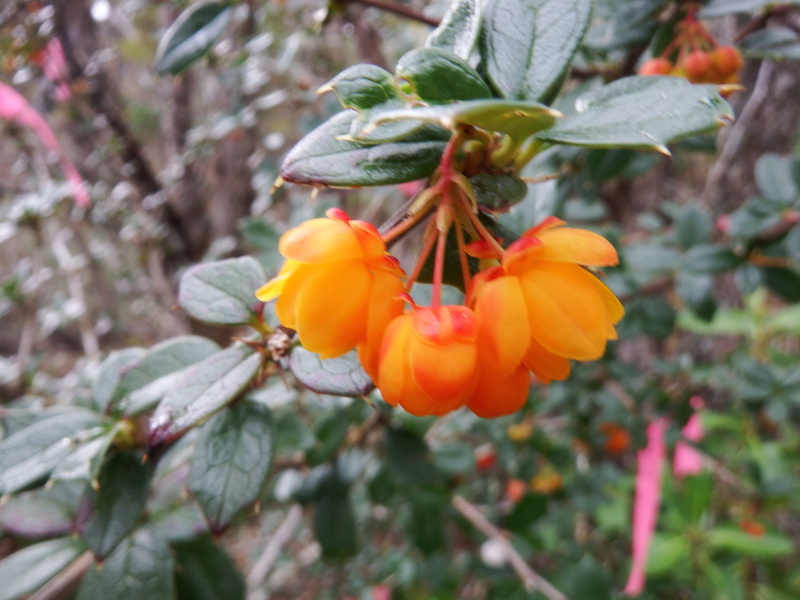 There is a shore excursion in the morning – we see our first condors of the trip, walk through an Antarctic beech forest, examine delicate marsh plants, mosses, lichens and mussel beds with our guide Javiera in the National Park Alberto de Agostini. I could have stayed longer at the imposing rock face – no cathedral, no matter how soaring or ornate can possibly match the sense of ‘awesome’ as this remote, silent, natural place. Prior to the afternoon disembarkation to view penguins and cormorants at Tuckers Islet, there is some trepidation about the sea conditions but the crew ensures that the expedition (although thrilling) is quite safe despite the 30 knot westerly wind. 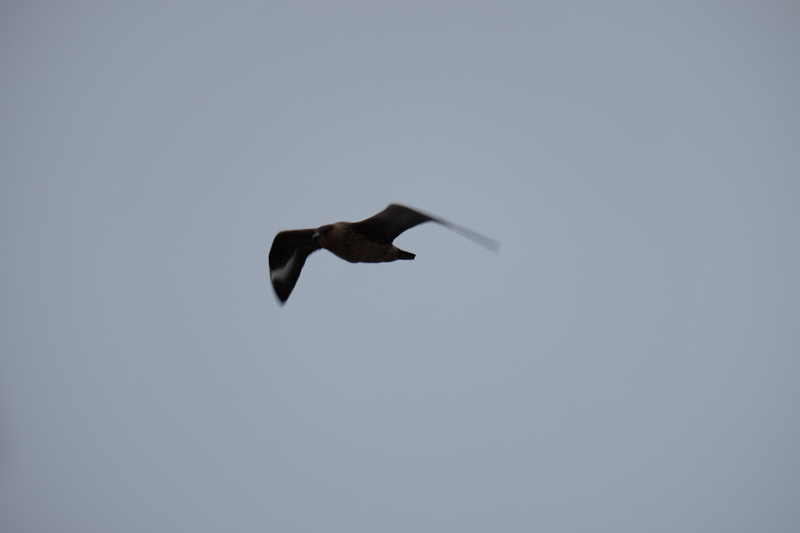 AND we see another condor. BUT there are fewer penguins than usual – fewer each year. The evening lecture is Glaciology in Patagonia and after the briefing for the next day, there is very little energy for the other entertainments provided. There is high excitement as we sail in Ballerno Channel as the clear, early morning weather deteriorates. Snow flurries! 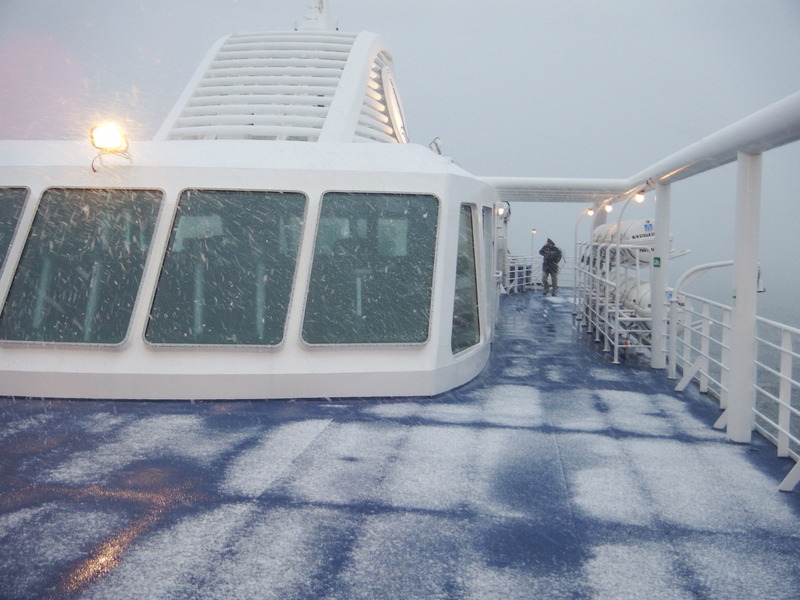 The disembarkation for Pia Glacier goes ahead although there are a few modifications to the excursion on land because of the snow. It is quite amazing to be so close to the ice and very satisfying to experience this chilly place while drinking whisky and hot chocolate. We are anticipating a perfect sail through Glacier Alley and are keen to capture all five glaciers on film. It is not to be. The snow increases and there is almost complete white out. Disappointment is put aside as we anticipate the itinerary for the next day and the bar provides drinks and snacks and opportunities for interesting talk with new acquaintances. 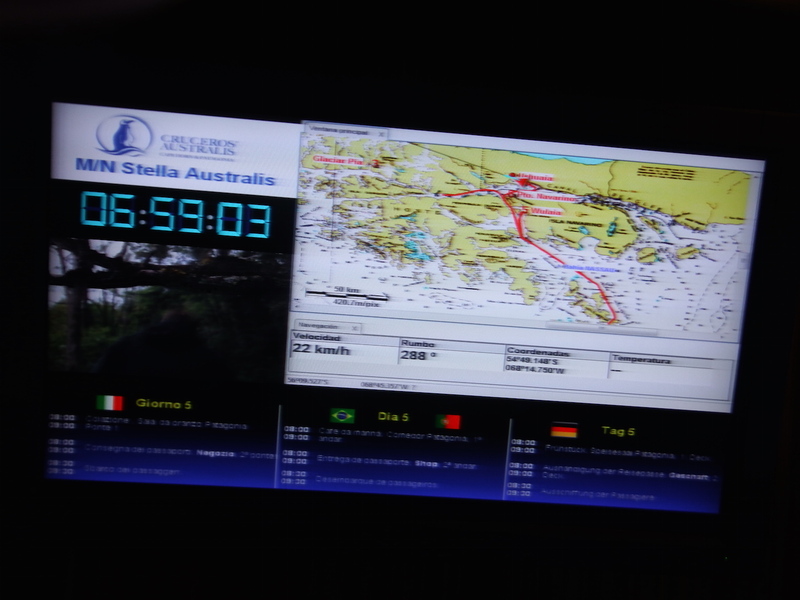 Late in the afternoon there is a briefing for the next day’s morning excursion – Wulaia Bay. And in the evening, the Captain’s dinner. This place is steeped in history and legend. Captain Fitz Roy, naturalist Charles Darwin, Yaghan aborigines….the stories are wonderfully and meticulously curated in an old naval station. However, as we disembark for the hill hike in Wulaia Bay, our thoughts are on the viewpoints far above us which we will strive to reach. 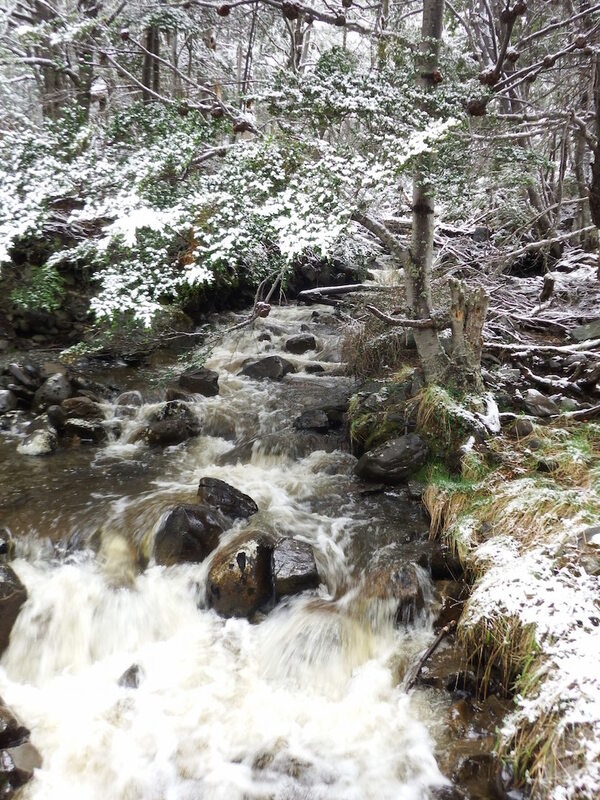 There was fresh snow overnight but now the forest is a winter wonderland (even though it is October and officially Spring). The track is muddy and the climb long and steep but well worth the effort as we reach the viewpoint and see Stella as a tiny toy on the bay below. There are photos and a minute’s silence to appreciate the pristine environment and breathe the clear, cool air. No sound except the rushing water of an icy stream. This day yields another excitement late in the afternoon. 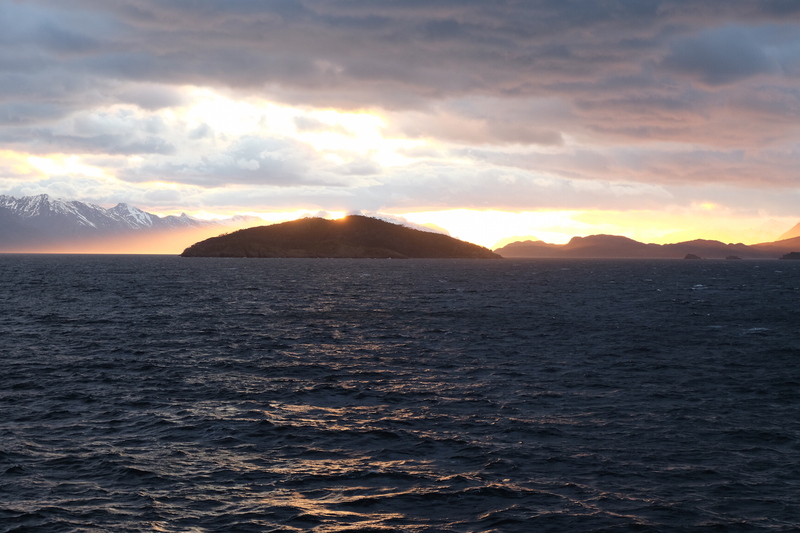 The captain and crew keep us in suspense as they assess the sea and landing conditions on Isla Hornos – the ultimate experience for most on this expedition is to reach Cape Horn AND go ashore to the monument. 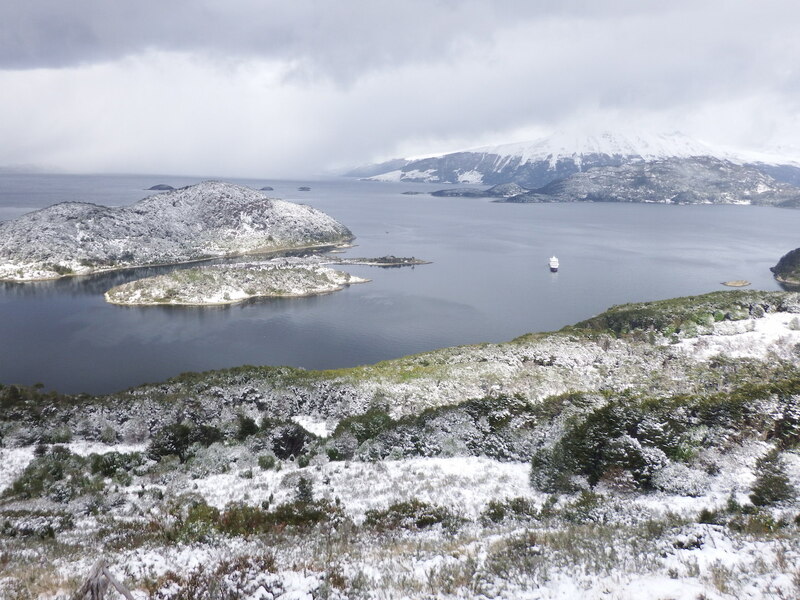 After the satisfaction of the morning climb in Wulaia Bay, I am feeling that Cape Horn would be an extra bonus. The disembarkation begins. I am on the second boat to land and push myself to climb to the monument – then race to the lighthouse and back down to the landing spot in the fading light for the first zodiac back to the boat. It is time for the farewell toast all too soon. I really wanted a very special keepsake for us to take home – there was a raffle for the 150th voyage flag (the Jack) and an auction of the nautical chart too. But I am happy with the Cape Horn stamp in my Passport and the memory of an unforgettable expedition cruise. The Stella Australis is a beautiful boat with an exceptional crew. I am forever spoiled – cruising for me can only be on a small ship like the Stella – preferably with a barman who understands that champagne is my first love but Pisco Sours come a close second. 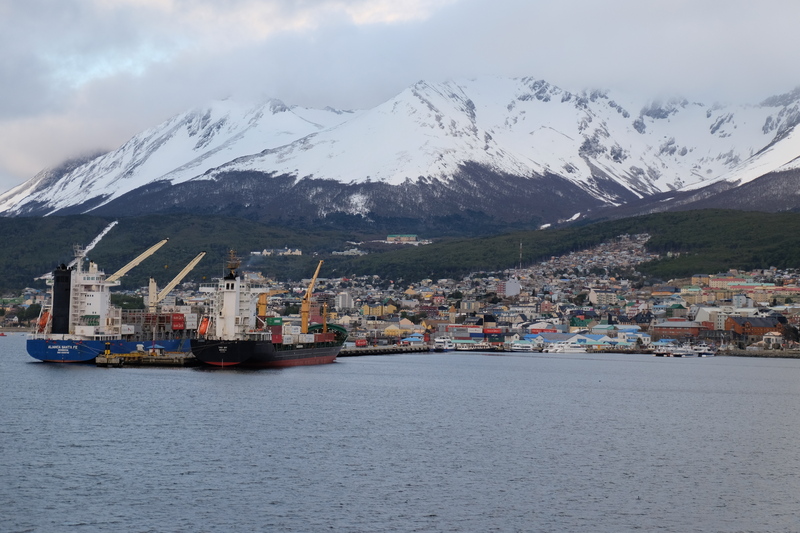 The voyage destination is Ushuaia, Tierra del Fuego, Argentina – a stepping stone to El Calafate and the next part of our journey in Patagonia. 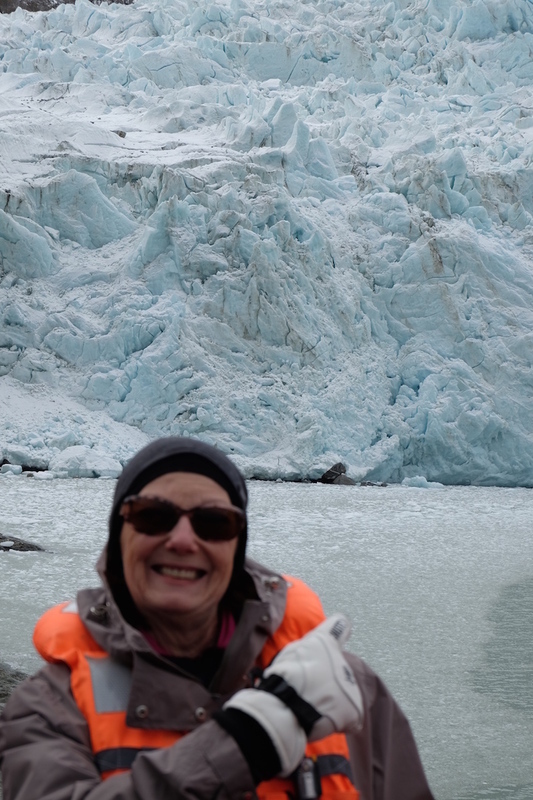 We have sailed and walked in this remote area of legends, pristine waters, the albatross and the ancient ice of the Darwin Range glaciers….we think we have been especially privileged to have had the opportunity to be here. Our next destination is back in Chile in the Torres del Paine National Park. Another very special place on earth.